Mumbai, 24 Sept: The Integrated Automatic Aviation Meteorological System (IAAMS), an advanced meteorological system certified by ICAO, DGCA and IMD was inaugurated at Porbandar on 21 September. 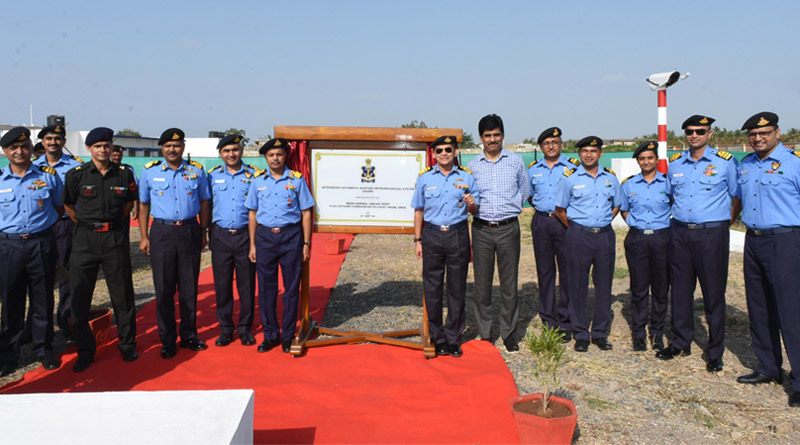 Rear Admiral Sanjay Roye, Flag Officer Commanding Gujarat Naval Area in presence of Commodore MK Singh, Commodore (NOM), IHQ MOD(Navy) and other personnel of Naval Air Enclave, Porbandar, inaugurated the advanced meteorological system. This system comprises of an Automatic Weather Observation System (AWOS), a Low Atmospheric Wind Profiler and a Sunshine Recorder. IAAMS records very high accuracy meteorological data which could be used for various other purposes in climate studies and weather/atmosphere modelling besides its direct use for aviation purposes.